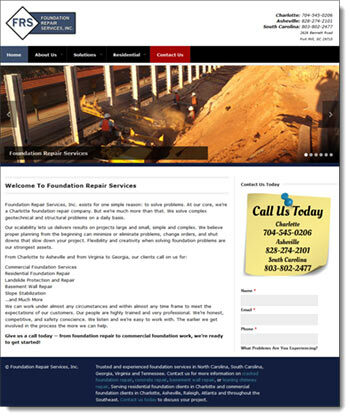 Foundation Repair Services, Inc. exists for one simple reason: to solve problems. At their core, they're a Charlotte foundation repair company. But they're much more than that. They solve complex geotechnical and structural problems on a daily basis. Their scalability lets them delivers results on projects large and small, simple and complex. They believe proper planning from the beginning can minimize or eliminate problems, change orders, and shut downs that slow down your project. Flexibility and creativity when solving foundation problems are their strongest assets.